“Place and Time” is one of the essays written by Jeremy Bentham that is currently being studied by the Bentham project. The treatment of Bentham by historians and indeed his characterisation in more public mediums leads us to view him as having a crude understanding of human nature. We are told that he was a limited author, with limited views. However, the Bentham project is helpfully studying his writings more closely than ever before and they are beginning to have strong doubts over these conclusions. In March last year Jennifer Pitts expressed some of those doubts to the Franco-British History seminar held in Sorbonne, France. Pitts explained that careful reading of Bentham’s essay alongside his other writings has helped scholars to pick up on his irony, self-mockery, his healthy disgust for existing political and legal systems and suspicion of those who presumed their own superiority of their own tastes and judgements. Bentham’s opinions were, therefore, much more complex than is often given credit. Bentham tended to focus his discussions and concerns on the Empire and British/colonial society. His opinion is revealed clearly in his writings as a negative view of imperial activity. He felt that the empire was harmful to international relations and that wars were caused by uncertainties created through colonisation. Bentham’s essay “Place and Time” composed in 1782 is generally viewed as an exceptional piece. The essay considers the appropriateness of legislation across place and time, with its thoughts especially located on India. Contemporary reviews noted its focus on ‘difference’ – not so much cultural differences – but to character, geography and manners. Bentham is highly sceptical of English and European customs and institutions in his “Place and Time” especially in India. As a publically renowned supporter of emancipation, Bentham believed strongly in Indian self-governance and was highly critical of British rule. Jennifer Pitts explains that our opinion of Bentham has been strongly coloured by his contemporary and near-contemporary editors who often mis-represented what Bentham was actually stating. For instance Bentham states quite plainly and neutrally that different cultures considered different parts of the body as objects of shame which his editors re-interpreted as signs of superstition in those cultures. The example used in this podcast is that of West Africans who put their hands in front of their mouths when they eat. Bentham also stated that lewd behaviour differs between cultures depending on what they consider appropriate. Female modesty, for instance, varies in different cultures but is not in any case a sign of inferiority or backwardness in those cultures in comparison to western societies. In all Bentham’s critique is more complex than many of his contemporaries would give him credit for its criticism of institutions at home as well as abroad. Bentham argues the Imperial rule in Britain and India alike only serves a ‘sinister’ few at the expense of the nation(s) as a whole. Bentham’s views changed over time. By the end of his life he retracted some of his views on emancipation, seemingly accepting the continuance of colonial rule but only if agreements could be made that each European country would sign up to an agreement of non-interference in each other’s colonies. To listen to this podcast please click here. History in Education – History Today article now out! Just a quick follow on post about the History in Education conference that I talked about on 12 January 2012 (click here for that blog post). The History Today magazine has now posted an article by David Cannadine (the project manager of the History in Education Project) talking about the project discoveries, what they set out to do, and what the book and website is all about. In addition, if you haven’t already please do have a look at the podcasts recorded during the one day conference in November 2011 at the Institute of Historical Research. Click here for the History SPOT podcast page. What is entertainmentality? That was my first question when I saw the title of Professor Peter Bailey’s paper and quite possibly (I imagine) will be your first reaction as well. Thankfully Bailey provides us with a definition and admits that it is a ‘hyped-up’ word but one used for very good reason. Entertainmentality is a derivative of sorts from Foucault’s concept of governmentality. Foucault developed this concept near the end of his life (somewhere around the 1970s/80s) as a way of describing the art of government. It looks not only at the strategies of government that are easily apparent but those elements designed to render society governable. In essence Foucault was looking at how governments maintain social discipline. 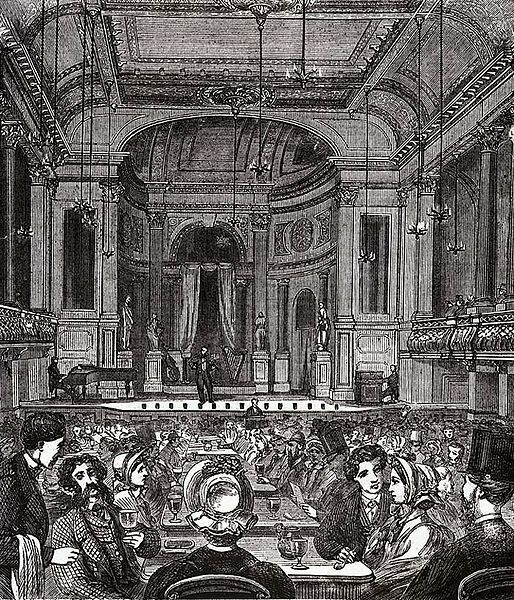 Entertainmentality then, looks at how the rising up of the entertainment industry in Victorian Britain was managed, strategized and organised to enable leisure to become an acceptable past-time whilst also maintaining a society with a strong and healthy work ethic. Many of those in position of authority did not believe that ‘fun’ was an acceptable use of a workforce’s time and saw the rise of an entertainment industry as a threat to social order and governmentality. In this paper Bailey studies the Victorian musical industry as the prototype modern entertainment industry. In particular he focuses on the contemporary debate and social/moral re-organisation involved in whether or not leisure and fun were acceptable and legitimate forms of pass time or even indeed, a human right. Trying to find a image to go with this summary I decided also to go for a video. I couldn’t find anything relating to the Victorian music industry but there were several videos from Victorian theme parks (like this one from Pathe). Another important aspact of Victorian leisure activities. In the podcast Bailey works through various examples of ‘celebrity’ supporters of ‘fun’ and leisure entertainment and the arguments they used to silence critics. Bailey also looks more closely at the Victorian musical industry to understand how they operated and for what reason. He looks at how conformity was of key importance to the eventual rise of leisure whilst also providing for the viewpoints of the dominant cultural order. 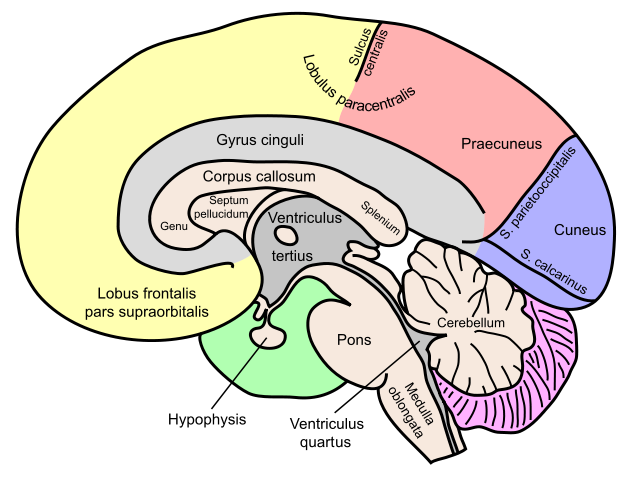 Biology, Brain Theory and History: What, if anything, can historians learn from biology? What can history learn from biology is the basic question set out in this session of Dispensations and Conversations. The three panellists all deal with this question according to their own research interests some seeing biology as useful or in need of further integration whilst others believing it intrusive and inaccurate as a historical methodology. The question here relates to the ‘turn to affect’ in the social sciences which has increasingly meant an incorporation of biological and neurological insights to be incorporated into analysis, including historical, of human behaviour. Lisa Blackman argues that the persistence of a viewpoint that the humanities and sciences are entirely separate entities is harmful to both disciplines. The reality, Blackman suggests, is that there is a lot of overlap, exchange and collaboration that often goes unnoticed. Hera Cook – through her examinations of emotion as an historian – notes how her topic brings up issues over the ability to draw upon evidence that is considered historically sound. Hers is a subject in need of staunch defence as its reliance often on non-factual and chaotic evidence (i.e. human emotion) is all the more difficult to research through traditional historical methods. The concept of biological or bodily emotions is therefore useful (more so than psychoanalysis Cook tells us). Investigating an ‘embodied’ response, say to an emotional shock can be found in historical evidence and can help us better understand socio-economic situations and human experience. Finally Roger Cooter considers whether biology and neurobiology as a ‘more scientifically accurate’ replacement for concepts of consciousness is in truth only a representation which is often politicised. As an historical construct in itself, biology has limitations equal to other concepts used by historians. The problem in this case according to Cooter is that biology as a science tends to be accepted more readily without consideration of the selective and limited character of biology and how it might retrospectively distort our understanding of the past. Historians are increasingly turning toward the more chaotic aspects of human experience in their studies of the past. At the same time there are increasing calls for more interconnectivity between the sciences and humanities. Some argue that we are already there – that the links have been made, examined, and are in the process of bringing out new understandings. Others suggest that more needs to be done or that the connections are fragile or inaccurate. Cooter’s argument that the science of biology and neurobiology is difficult for historians to properly grasp (as they are generally not experts in this field to the degree necessary) is certainly highlighting a problem in collaboration. How can historians make use of the discoveries and theories of the sciences to the extent necessary when they are not scientific experts themselves? Closer discussions with scientists would, of course, be one approach. But even here there is no guarantee that the scientist would understand fully the historical method either. Is this a case of ‘lost in translation’ or can/should the disciplines combine more completely to gain new insights into the past and into human experiences? It seems that the discussion into biology, brain theory and history only touches the surface of an unease that continues to remain in all disciplines regarding co-operation and collaboration. It suggests on the one-hand that attempts are being made – and fruitful results are being produced – but that there is still work on the theoretical side in particular to be done to align the disciplines. Hera Cook’s focus on sexuality and emotion is a clear example of an historian making good use of disciplines outside of the traditional set of historical tools and study topics. Indeed this is true of all of the speakers of this podcast. Professor Joanna Bourke – the chair for this session – has recently turned her attention to the study of fear and hatred in history and is therefore equally entwined in the discussions and arguments over emotion as Hera Cook. Lisa Blackman works on the intersection of critical psychology and cultural theory whilst Roger Cooter’s focus on the social history of ideas in science and medicine gives him the much needed ‘bird’s eye view’ of how these collaborations are progressing and the potential limitations or difficulties that they might bring. Together these podcasts provide a thoughtful discussion and case study over the issues of collaboration between the sciences and humanities. They are certainly worth a listen! Beyond the interviews the virtual exhibition (which is well worth a look) includes various statistics (largely gathered from the 1990s London PhD project that looked into the history of History doctorates between 1921 and 1990 at the University of London and the more continuous History Theses publications currently hosted on History Online. There is some valuable and interesting data here. One chart in particular caught my attention on the changes in thesis topics over the course of the twentieth and twenty-first centuries (up until 2009). The most significant changes has occurred in studies of Britain in the nineteenth and twentieth centuries which sharply increased over most of the twentieth century but has been significantly dropping since the 1980s. In reverse the study of medieval history seems to have declined until the 1970s, found a brief steady period of just under 10% of theses before again rising at the end of the century. Study of Modern Europe has steadily risen whilst the study of early modern history has slowly decreased over the century. Ancient history, historiography, historical geography and world history have all remained steady at the bottom end of the table suggesting continued but low-intensity interest. 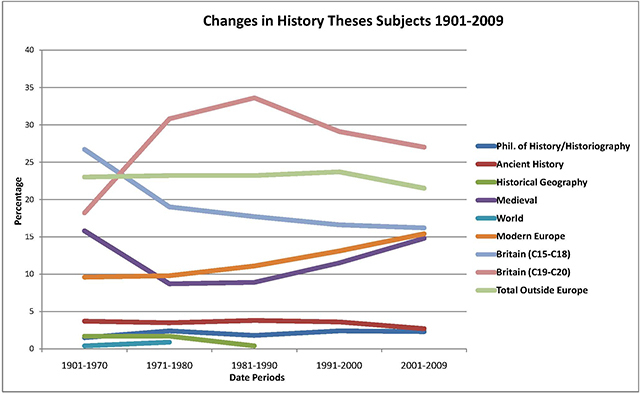 This graph was drawn from the IHR’s History Theses publications, and chart trends in the number and type of history theses completed between 1901 and 2009 as it was republished on the web for the PhD Virtual Exhibition. Last year I was interviewed about my experiences of the PhD as part of the IHR’s celebration of the 90th anniversary of the PhD in Britain. I don’t claim to be an expert or necessarily to have anything particularly interesting to say on the subject as every experience of the PhD is very much individual and varies considerably. After giving the interview I must admit that I largely forgot about it and the subject. However, recently (as my previous blog post highlights) the subject of History in a Higher Education context has been on my mind. I therefore decided to revisit my interview and those others that were conducted. I found myself very much interested by the similarities and differences between experiences but also by the opinion of the PhD expressed once on the other side of the Viva. Funding and ‘staying-power’ kept cropping up as important. Those without funding noted the added difficulty of carrying out a PhD whilst also working. Those with funding not only had money matters alleviated but felt ‘endorsed’ as doing something worthwhile. The ability to undertake a PhD lies in-part in a person’s ability to stay on course and to really want to do the subject. A PhD is a marathon not a race! When asked about why each person choose their topic it became immediately clear that in many cases the topic finds the student either through the special subject many take in their third year of undergraduate study or by random luck of circumstance, potential supervisor or university expertise. As for why they studied history in the first place many state quite openly that they simply fell into it and never really escaped! There were variations in these experiences. Julie Spraggon, for instance, mentions how it is important to find a niche – something that has not been explored too much, while Kathrin Pieren talked about ‘collaborative PhD’s, in her case between the Centre for Metropolitan History at the IHR and the Museum of London. In addition, Professor Caroline Barron noted the rising necessity of the PhD in the provision of academics. When she did her PhD in the 1960s she was able to get a lectureship (as did many of her colleagues) before completion – something unheard of today. Perhaps the most interesting question was what each person felt they got out of their PhD’s. The straight forward answer was a stronger sense of how to carry out research, to meet deadlines, organise time, editing skills and how to write clearly and concisely. Also highlighted was skills in perseverance and learning to go with your gut instinct. One thing that doing a PhD seems to also give each person is a new appreciation of the world and perhaps a new perspective. A PhD does not just give specific historical knowledge but also a wider viewpoint of the world and of ways of thinking about it.